Plastic surgery in Mexicali is a great option if you want good quality medical care coupled with reasonable prices for surgery that is otherwise unaffordable. With Medical Departures you can book an appointment in confidence with surgeons that have been pre-checked by us. Mexicali is in Baja California in Mexico. This industrial city is the state capital and has a high standard of living. It has a prosperous middle-class and this has given rise to better all-round facilities. It is also known as a hospitality and tourism hub, and its quality of medical care. The city is accessible in several ways. It has the General Rodolfo Sánchez Taboada International Airport that is serviced by local airlines. 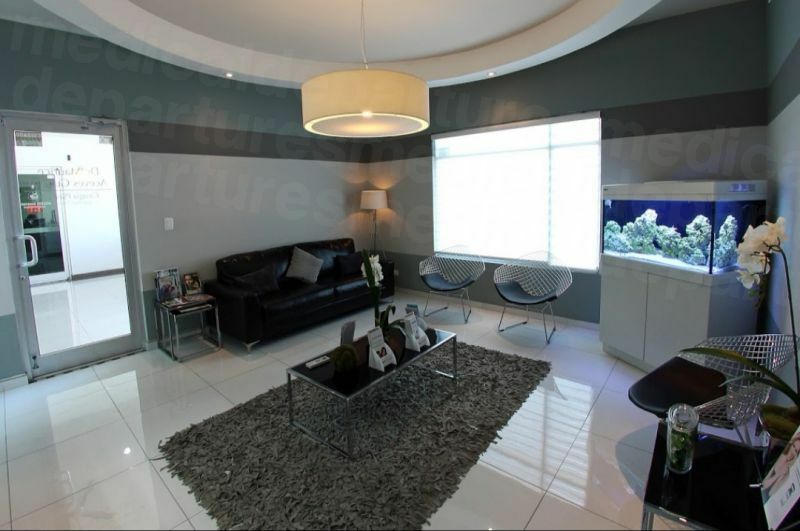 It is also reasonably close to the Tijuana International Airport and also San Diego Airport. From both destinations there are many road transport options to Mexicali including buses and taxis. Mexicali has many museums, cultural and historical attractions, parks and casinos. It also has many shopping malls, the most popular being Plaza La Canchanilla. As it has a large population of Chinese immigrants who have been living in the city for generations, the Chinatown here is a big attraction. Mexicali is just over the US-Mexico border opposite to Calexico in California. It is walking distance from Calexico and the two cities even seem identical. Why choose Mexicali for Plastic Surgery? Most plastic surgery procedures are not covered by insurance. These procedures, when done for esthetic reasons, are expensive and may be unaffordable. When you shop around for the best prices then Mexicali has reasonable rates when compared to the existing prices in Canada and the U.S. for similar procedures. Breast Enlargement in Mexicali average cost USD 4,000 as against USD 7,500-12,000 in the US and CAD 15,000 in Canada. Facelift in Mexicali average cost USD 4,500 as against USD10, 000 -15,000 in the US and CAD 12,000-15,000 in Canada. Tummy tuck in Mexicali average cost USD 4,500 as against USD 7,000-12,000 in the US and CAD 10,000-12,000 in Canada. The hospitals and clinics in Mexicali are comparable with the best in the U.S. and Canada. These institutions see more patients than many in the more advanced countries. The doctors are experienced and skilled. Some may be expats while others may be local doctors who have done part or all of their training in western countries. Medical studies in Mexico are somewhat different in that they start after school unlike in the U.S. where studies start after graduation. Medical education lasts around eight years after which the fledgling doctor has to train for a further year in a rural area or do government service. It is only after all this that the doctor can study further for a specialty like plastic surgery. Often the plastic surgeons may be members or American or International boards to add to their qualifications. What kind of plastic surgery procedures can be done in Mexicali? All kinds of plastic surgery, esthetic treatments and elective surgeries can be done in Mexicali. Some clinics may offer only cosmetic and minimally invasive treatments whereas others will offer all kinds of comprehensive treatments. Whether you want breast reduction or augmentation, facelift or neck lift, eye surgery or tummy tuck, you can get various plastic surgery procedures done in Mexicali. Other treatments like Botox, dermal fillers, anti-aging treatments, cosmetic eye treatments (eye bag removal, eyelid surgery, eye bag removal, Lasik and others) are also available. Liposuction, weight loss surgery, body contouring, and hair transplants are other procedures that are available in this city. Mexicali has numerous hotels and other accommodations at various price points ranging from luxury to budget. It also has brand name hotels like Marriot and Holiday Inn. You can find hotels that are for the business traveler and also for family. Do check that the hotel has amenities that you want (free breakfast, room service, wi-fi, laundry), its proximity to your clinic or hospital or to the centre of the town. 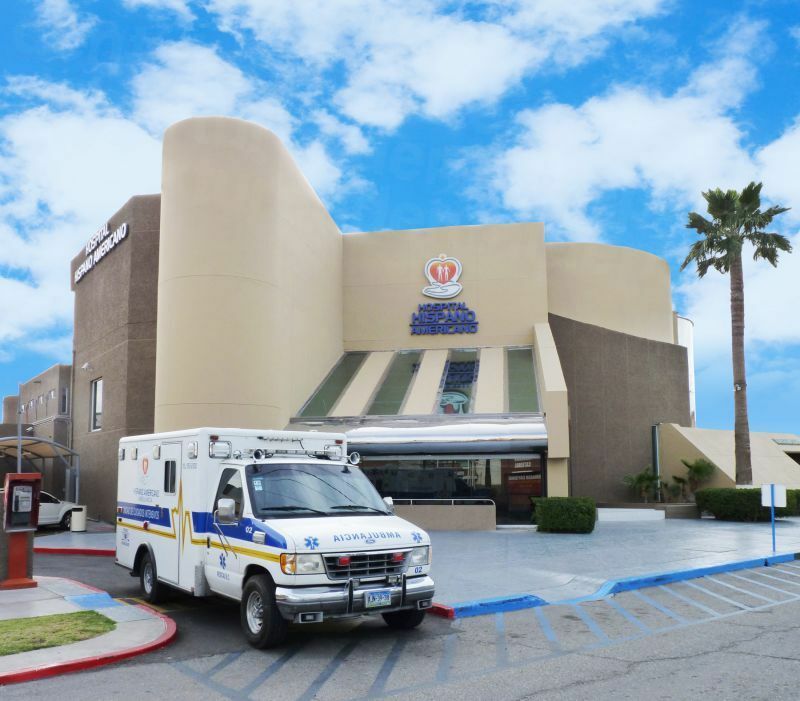 If you want to make a quick visit in and out of Mexicali and don’t need to go often to the clinic or hospital, then you may want to stay closer to the airport. If you want to check out the town and other places, then staying closer to the city centre may be a better option. Mexicali is safe and is not known for kidnappings or killings. There may be occasional instances of petty crime, but that is true of any city or country. It is more of a quiet and peaceful place. Just avoid seedy areas and you should be fine. Surgery done anywhere in the world, even the best of medical facilities, carries with it some risk. As long as your doctor knows your medical history and has run the required tests before your surgery, you should be safe. If the doctor is competent and skilled and board certified, you should not face any problems. The doctors who practice have completed all the requisite tests and exams and even have practical experience. Additionally, as plastic surgeons, they have also studied for the specialty. Some of them may have certifications or board memberships from American or International organizations. Many hospitals in Mexicali follow the standards set out by the government (General Health Council) that follow U.S. standards. Booking through Medical Departures gives you an additional layer of safety since we do in-depth investigations into the background and education of the doctors, check their qualifications, accreditations, experience and training. We also ensure that the amenities at the hospitals and clinics we list on our website are of international standards in all aspects. What happens if something goes wrong? Do Mexicali doctors have warranties or guarantees? An individual’s reactions can never be predicted. Sometimes despite all the precautions, at the operation table, something can go wrong. Medical Departures will always be on hand if you have any problems, and we recommend you take out additional insurance that will cover accommodation and travel expenses should you need to stay longer or travel back. Mexico is a huge tourist destination. Except in rural areas, most people speak English. When you deal with people who are in close contact with tourists constantly, you can be sure that they have the communication skills required. Doctors who deal with western tourists need to speak English. What payment methods are accepted in Mexicali? In tourist places internationally valid credit and debit cards are accepted for payment. Most places also accept U.S. dollars. You can make small payments in pesos if you want to change your money. This is useful for food, tips and small purchases. When is the best time to visit for plastic surgery in Mexicali? Medical facilities are open through the year. However, Mexicali does get quite hot. So you need to see what time of the year you will be comfortable. While major places are air-conditioned, if you have to be outside in hot temperatures, you may not be comfortable. May to August may be somewhat warm. The winters are good, but there may be rain or chilly weather on some days. What is the downside? What should I know about getting plastic surgery in Mexicali? When you choose to get plastic surgery done to improve some aspect of yourself that you don’t like, you should have your research in place and also check out horror stories on the net. If you are healthy and have no other medical complications, all should go well. In any case, any major surgery that requires the use of anesthesia always carries with it some risk whether you are in Mexicali or in the best medical facility in the world. Plastic surgery is safe when done at the hands of an experienced and competent doctor. It is also a good idea not to travel alone for major surgery, but take someone with you for support. Do ensure that the hospital provides you with all that is required for the surgery and afterwards. The same goes for the hotel where you will stay – you may require special diet or food, wi-fi, entertainment and other things. You can also recuperate for a few days in good surroundings and have a restful time before heading back. What else is there to do in Mexicali? Like any large city, there is a lot that you can see and do in Mexicali. You can visit museums and churches if you are so inclined. Or you can go to Hardy River for fishing and kayaking. If you like beaches then San Felipe is the closest beach place. In Vallecitos you can see ancient rock carvings and cave paintings from the prehistoric era. There are also places you can go to for panoramic views. Plaza De Toros Calafia hosts bullfights and there is a casino if you like gambling. For the person who like sports, Estadios Casa Geo offers basketball games and Club de Golf Campastre is an 18 hole golf course that holds many different tournaments. ATV races are also held off-road. Mexicali also has bowling. Plaza Mariachi has Mariachi bands that will play live music for a small amount of money and Baja Prog, the international rock festival, is held in March. If shopping is your weakness then rest assured Mexicali has all the best in high-end shops in the malls, local boutiques and flea markets. You can find all kinds of shopping ranging from clothes and shoes to food and drink, to souvenirs and trinkets and local crafts on sale. Mexicali has the General Rodolfo Sánchez Taboada International Airport, 20 kilometers to the east of the city that is serviced by local airlines flying to various destinations in Mexico. It is also serviced by the Tijuana International Airport and also San Diego Airport from where you can take buses or taxis to reach Mexicali. In the U.S. Mexicali is reachable via the Imperial Country Airport in CA which is 20 minutes away from the border between Calexico and Mexicali. While you can get different buses, ranging from cheap to fancy air-conditioned ones, taxis are easily available. You can either call for taxis to take you wherever you want to go or you can take a taxi that operates on a specific route. If you are coming from the U.S. or Canada you simply need to carry your passport and you will be able to stay for up to 180 days visa free. In fact, from many western countries, you don’t need a visa. If you have residency of another country, then you need to check for visa requirements online. When you book via Medical Departures you are assured of a safe and guaranteed best price clinic. See below for ways to book your appointment. If you’ve any questions don’t hesitate to get in touch - our Customer Care Team will be happy to help you if you need further information about plastic surgery in Mexicali.